Stress, mental issues and emotional problems are forever on the increase, and many people have no idea how to take back control of the feelings and emotions. We were never taught the most important lessons in life, like how to manage our feelings and emotions, and most people are left to try and figure out things for themselves, which can take a lifetime. Life was a lot simpler for our predecessors and although they worked hard, they lived their life at a much slower pace and they spent more time out in nature. Being in nature is one of the most natural calming remedies, the trouble is, most people do not have the time, especially in the winter months to get out in nature. Our predecessors also ate more natural and healthy cooked foods, so they had less problems with their body image, and they were not bombarded with technology and there diets were not based around quick snacks and unhealthy meals. There was no pressure to look good and our parents and their parents did not spend so much time focusing on or even trying to change their personality or character. Therefore, it is no surprise these days that stress and emotional issues are on the rise. Although it is important to keep active, we are not designed to rush about all the time, overdo things, or spend most of our time stuck in a negative state of stress, anxiety and worry, yet most people do. If you compare the Western way of lifestyle to the East or still fairly ancient living cultures, you will find that the West tend to live much more fast living and less healthy lifestyles, often with a price to pay for it. Our fight of flight response, was only designed to go off when it was absolutely necessary, yet many people are stuck in a fearful and stressful state, which puts a huge strain on the body. Primarily, we are designed to live fairly simplistic lifestyles where we live at a much slower pace lives where we are out in nature and we collect our crops and live off the land. If you study animals in nature, you will discover they only eat their natural diet, they rest when they're tired and they don't over expend their energy resources. There are some animals and birds that live on average, a longer life than humans, and scientist put this down to the total energy expended over their lifetime. The New Zealand parrot called the Kakapo's life expectancy is over 90 years, and one of the reasons for this is probably due to their slow and laid back lifestyle. If you make it to 100 in the UK you will get a birthday card from the Queen, however reaching a 100 for a giant Tortoise is no big deal as their average lifestyle is over a 100, again the tortoise does not expend much energy. So what has all this got to do with meditation? For thousands of years now people have been using meditation for health, spiritual, emotional and physical benefits. During scientific brain scans, meditation has shown that it can decrease anxiety, depression and stress and highers our tolerance to pain. Although we have got to move with the times, perhaps some of us have got to take a leaf out of the animal kingdom and just take it easy and slow down a little. Many people are suffering with stress and emotional related issues, which will disrupt their quality of life, there well-being will suffer and if left untreated they are potentially very dangerous to their health. If you are feeling stressed or you are suffering with emotional disorders like anxiety, anger or negative thinking. Then they will through your whole body physiology out of balance and because it takes the human body 36 hours to get rid of the toxic and potentially harmful stress hormones. If you suffer with too much stress or negative emotions, then your body will never have a chance to return back to its natural and healthy resting state. With the increase of health related issues due to stress and unhealthy lifestyles forever on the increase and most health related issues these days are emotionally related, it may be time to slow down a bit and return back to your natural relaxed and healthy state of being. Not everyone will want to abandon their modern day of living, but if you want to live a long and healthy life as well as feeling good it is a human necessity to allocate twenty minutes or so each day to relax deeply. Meditation is still one of the most natural and most relaxing ways to bring your mind and body back into balance and harmony and when you return your most healthy and relaxed state your life will change for the better. Meditation is an incredible journey for you to take, where you can let go of all your negativity and outside problems and concerns and bring yourself back to your most natural and feel good state of the now. Most of our problems can be solved when we are in the deeply relaxed state otherwise known as the Alpha state and meditation will switch you over into the Alpha state. One of the biggest myths about meditation is that you have to try and stop thoughts, however, this is not true and very hard to achieve. It is OK to think whilst you're in a deeply relaxed state such as the one you can reach with meditation. In fact, sometimes you need to think and visualize to solve problems or make the positive changes that you have been looking for. If any negative thoughts come into your mind, you should not attempt to stop, because that causes more emotional arousal, all you have to do is let the thoughts come into your mind and then just let them sail on through. While we've all heard about how the positive and soothing effects of meditation can have a calming and positive effect on our overall wellbeing. But the benefits of meditation don't stop there because this age old ancient practice can directly influence your brainwaves and if you get into the habit of practicing meditation on a daily basis, then it can bring about life changing results and benefits. Meditation is good for your health, because regular meditation can help too decreases inflammation, as well as possibly improving immune function, so you are less likely to suffer with cold and flu as well as helping to decrease pain in some cases. It can also help to improve your circulation as well as helping to lower your blood pressure. These days you don't have to spend years trying to learn the art of meditation, because thanks to modern day technology you can now cheat at meditation and reach the advanced levels of some of the Tibetan Monks in ultra quick time. 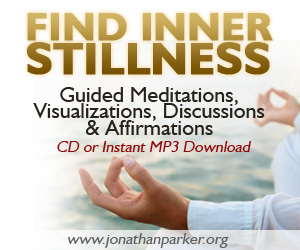 So why not cut out all that hard and tedious work and instead purchase a music meditation recordings that will automatically bring your body and brain frequency into a calm and relaxed state. These sounds of nature recordings which are roughly the same frequencies as the calming and peaceful alpha state will entrain your brain rhythms away from the stressful and negative harmful states and back to its resting positive and calm state. During the alpha state you will experience better feeling, moods, your happiness levels will increase and you will develop a much more positive and optimistic outlook on life. Whilst listening to these meditation music recordings, you brain frequencies will synchronize and match the artificial stimuli of the meditation recordings and music. All you have to do is, sit back and relax, hit the play button then just focus on your breathing and allow the music meditations to switch you into a tranquil state of inner calm, peace and stillness. When you make it a habit to meditate each day it will cleanse your mind and body and bring out your best game each and every day, and you will sail through the day with a sense of inner calmness and control. Negative emotions can actually shrink the size of your brain, and increase the activity in your emotional brain that deals with fear and anxiety, making you feel more depressed and more anxious. Studies have shown that after a few months of meditating, your brain size can increase, which can boost your mood, increase your learning abilities and make you more creative and intelligent. If you do not have the time to get out in nature or you do not have easy access to it, then you can now bring nature into your home through using meditation recordings. Most people try and think themselves into feeling good, but that is doing it the hard way, the easiest way to return to a calm state and solve all your problems is by changing your feelings.